October is just around the corner, which means flu season is also just around the corner. According to the Centers for Disease Control and Prevention, deaths from influenza range from a low of 3,000 to as many as 49,000 in one year. The flu is extremely unpredictable, so it’s difficult to say how severe it will be in any given year. The CDC strongly recommends flu shots as the best method of preventing the virus. However, like with all vaccines, there is some controversy surrounding this recommendation. Knowing about the flu shots can help you make an educated decision for yourself and your family. What is in Flu Shots? Influenza mutates on a regular basis, so it can be difficult to pinpoint the exact strain that will hit the Western hemisphere in any given year. Flu shots typically contain three different strains in the hopes of covering the most likely bases. Last year, the shot contained a vaccine against H1N1, since that strain still seems to be affecting the population. According to the CDC, flu shots are generally safe for healthy people. While some people can have severe reactions, the incidence of this isn’t really any higher than with any other medication or vaccine. As with anything, side effects are possible. The most common include pain and irritation at the injection site, or nasal irritation from nasal spray vaccines. Headaches, nausea, muscle aches, and general malaise can also occur. People with a severe allergy to eggs. 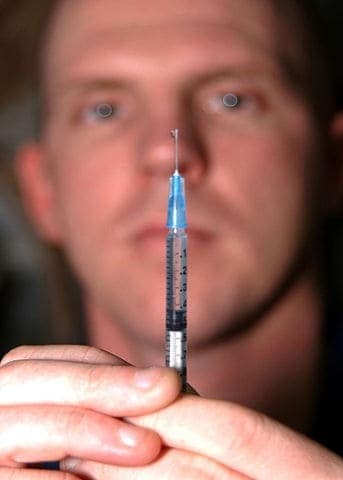 People who have experienced an allergic reaction or other reaction to the shots in the past. Those who are sick with a fever will need to wait until they feel better before getting the shot. Note that the nasal spray flu vaccine has a much longer list of those who should avoid it. Talk to your doctor to find out if that version of the vaccine is safe for you or your child. Why Are Some Opposed to Flu Shots? Like all vaccines, there are those who are against getting flu shots for many reasons. Some feel that since influenza mutates so quickly and it’s difficult to predict the strain that will hit the US, there really isn’t a point in playing roulette with the vaccine. Others believe that vaccines in general contain dangerous ingredients that can lead to physical, mental, and developmental problems in children. Like all medical decisions, deciding to get flu shots for the family is one that should be made after weighing all the facts. Next week, learn how to tell the difference between a cold and the flu. I have never got a flu shot. For me, I am afraid of them. I hate being sick and have it in my head that these shots are only going to make me sick. I remember the effects of shots on my little ones throughout the years. We’re getting our flu shots this week. I think the pros outweight the cons. Each family has to make their own decision but for us it makes good sense! My daughter has to have a flu shot every year since she has asthma. But I don’t think most people in our area have the shots because of the cost.